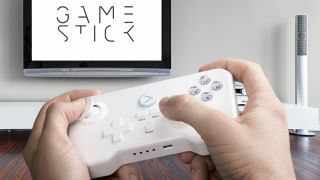 The troubled, Android-powered GameStick console has been hit with more delays, with the official UK release date pushed back to the end of November, at the earliest. The £79 ($79) HDMI stick has been beset by problems, but those who'd pre-ordered the console had expected to receive it this weekend. Now Amazon UK is listing the device for November 29 release, while the official UK site says it'll be out on December 15. Buyers stateside will now be able to grab the console a little earlier, on November 15. Some of those buyers across the pond who have already received their pocked-sized console units are reporting that the device isn't working out of the box, or have been freezing and randomly restarting. It's been a long saga for the British-born microconsole. It sailed past its Kickstarter funding goal in February and was expected to go on sale in April. The demand saw the release pushed back to June, and then a variety of teething problems resulted in further delays until November. Reviews for the console have so far been mixed, with TechRadar awarding the console an underwhelming 2.5 stars out of a possible 5. Since the GameStick's inception, other Android-powered consoles like the Ouya and Nvidia Shield have hit the market with varying degrees of success. The MadCatz Mojo is also scheduled to arrive on December 10. For the GameStick, which doesn't offer access to the Google Play store like some of its rivals, there must be legitimate concerns that it is missing the window of opportunity to cement a presence in what's soon to be a flooded market of Android-powered gaming devices.